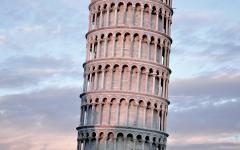 From intriguing history to incredible food and wine, this classic amongst our Italy tours has it all, and has been updated for 2019-2020! 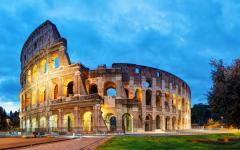 Become captivated by the eternal beauty of Rome, the Renaissance splendor of Florence and the mystical ambience of Venice. 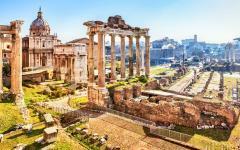 Walk through ancient ruins in the footsteps of Julius Caesar. Get so close to Michelangelo’s masterpieces that the marble comes to life. Discover a secret world as you glide through dreamy canals in the world’s most romantic city. (Day 1): Venice - Arrival to the Most Romantic City in the World! 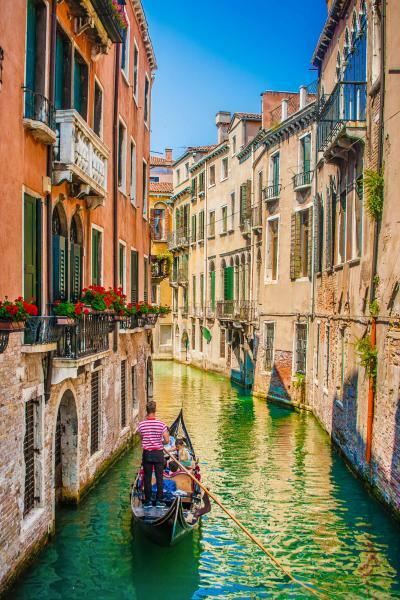 Venice seeps into your imagination, a city of beauty that floats on water around winding canals. The silhouette of ornate Byzantine buildings are reflected in the water like an Impressionist painting. A blanket of mist often shrouds Venice creating an almost magical atmosphere. Get lost in the city’s maze of medieval streets until you stumble upon a forgotten piazza with once-glorious buildings now in a state of elegant decay. 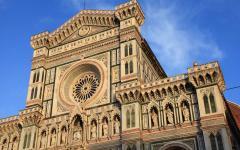 A spontaneous stop into a church may surprise you with a famous Titian or Bellini masterpiece. 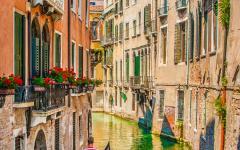 Get lost in the maze of narrow alleyways and canals to discover the haunting beauty of this distinct Italian city. 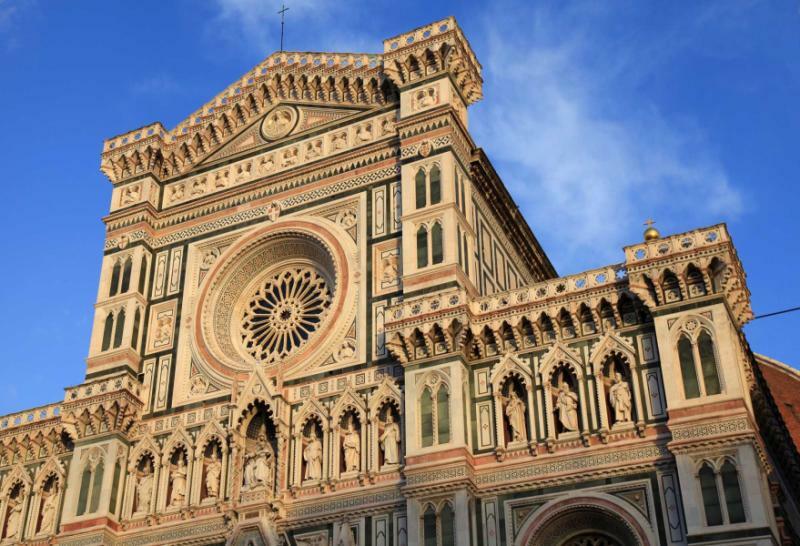 Visit the jewel of the Renaissance: Florence. An essential stop on the European Grand Tour, Florence was a financial powerhouse beginning in the Middle Ages. This city of wealth and culture allowed fine art and amazing architecture to flourish. Wealthy citizens of Florence became patrons of the greatest artists of the age: Michelangelo whose masterpiece “David” you can see at the Galleria dell'Accademia and Botticelli who created the breathtaking “Birth of Venus” painting. 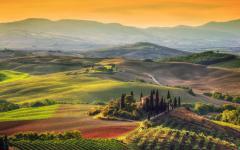 Beyond Florence is the majestic Italian countryside of Tuscany. 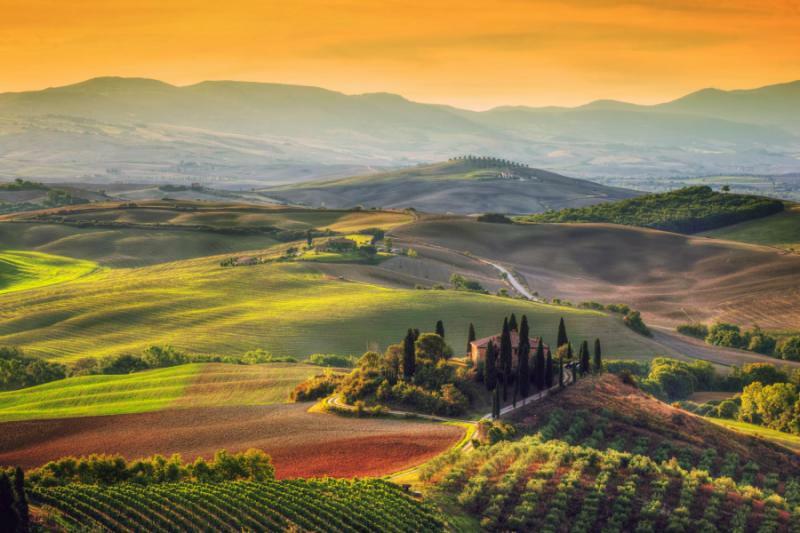 Renowned the world over for its beauty, food, and wine, you’ll have a chance to explore this bucolic destination, and you’ll even learns the secrets and recipes behind the fruits of the land in an authentic Tuscan cooking class. 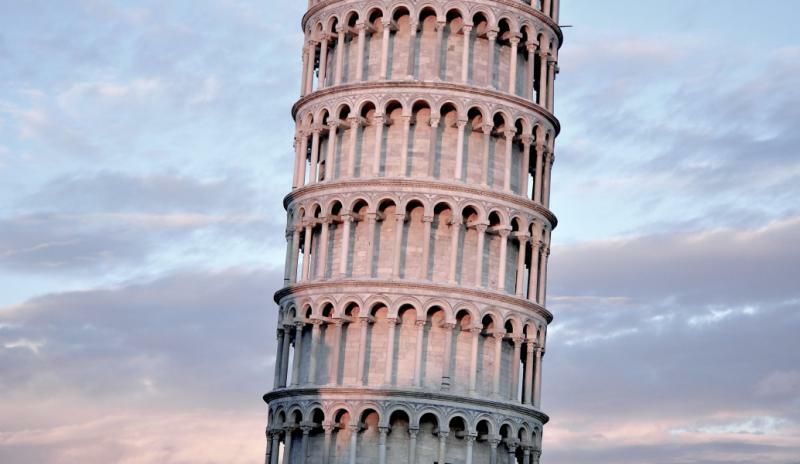 Finally visit a founding city of Western Civilization, an obligatory stop on your Italy tour. Rome resonates with energy. The building blocks of the Roman Empire are still visible in the Forum, where you can literally walk in the footsteps of Julius Caesar and Mark Anthony. You’ll see the Colosseum where gladiator contests took place. Well-preserved ruins create a palpable impression of daily life over 2,000 years ago, but this metropolis of ancient history is also a real modern city where Romans work and live in grand style. Explore some of it’s less visited neighborhoods, such as the Old Jewish Ghetto or Trastevere to see how modern-day Romans live. Day 1 - Arrive in Venice - the Most Romantic City in the World! 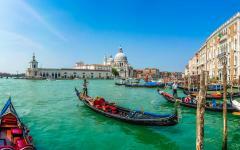 Upon your arrival at Venice Airport, you will be greeted by a representative who will assist you in catching a private water taxi to your hotel. You will spend three nights at a luxurious hotel in Venice. To discover the city, begin by wandering the maze of cobblestone streets. Whichever you choose, you’ll be delighted with wonderful surprises: a hidden church, a beautiful piazza, a canal filled with gondolas. 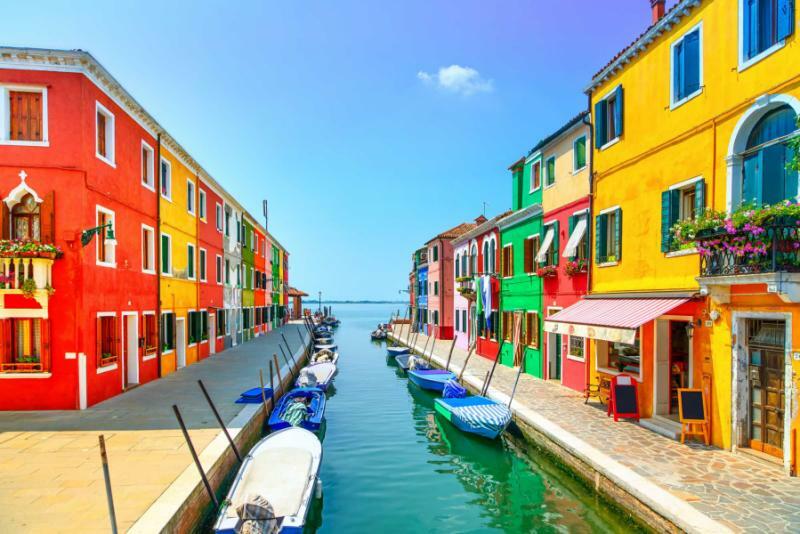 Try finding your way to the Cannaregio district, with its pedestrian walkways and little foot bridges lining the Strada Nova canal. 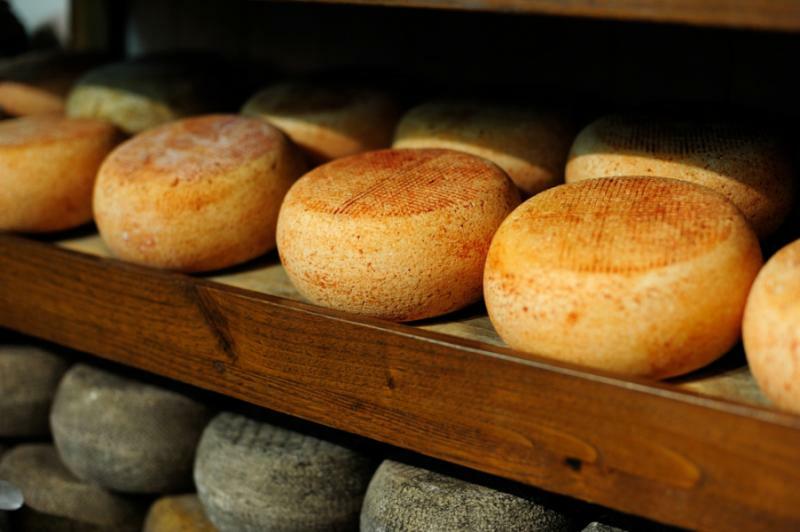 In this neighborhood, you’ll find gelato shops, craft stores and enticing bakeries. 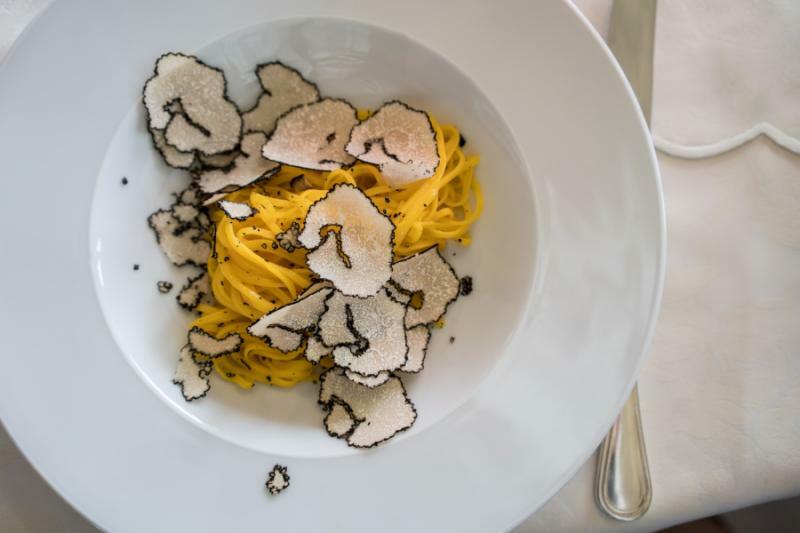 One recommendation for dinner in this area is Fiaschetteria Toscana, a restaurant that offers Venetian specialties such as black noodles in a delicate lobster sauce. Today you will have free time to explore Venice at your leisure. First visit the Basilica of Saint Mark, the city’s most important church. Covered with 43,000 square feet of glittering,13th-century Byzantine mosaics, creating a luscious golden glow. Become enraptured by the details of this ancient artwork, which presents the story of Adam and Eve, Noah, Saint John the Baptist and Saint Mark. Nearby is the iconic Doge’s Palace, a pink marble-facade palace that was the seat of the Venetian government. Another must-see sight is the Accademia, an art museum filled with the highlights of the Venetian Renaissance. You’ll be swept away by the realistic masterpieces of Bellini, Titian, Tinteretto, Tiepolo, Veronese, and the list goes on. In the afternoon, you’ll take a boat tour, the best way to see the city. 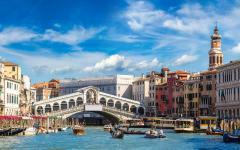 This boat tour gives you a view into the rich history and amazing architecture of Venice. 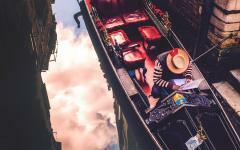 The scenic tour begins with some of the smaller canals that run through Venice’s different neighborhoods, each with its own special character. 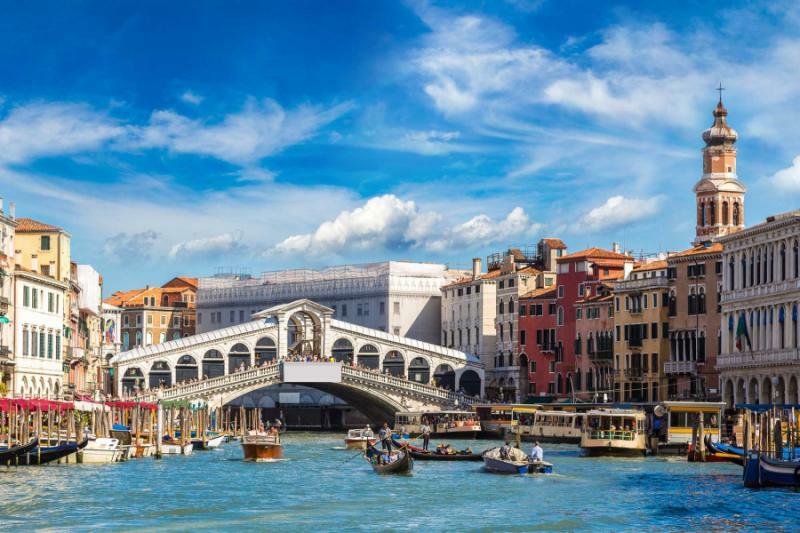 You’ll also travel down the iconic Grand Canal, the world’s most beautiful “main street” and the most important artery of traffic in Venice. The Grand Canal is a veritable jewel box of Venetian architecture. 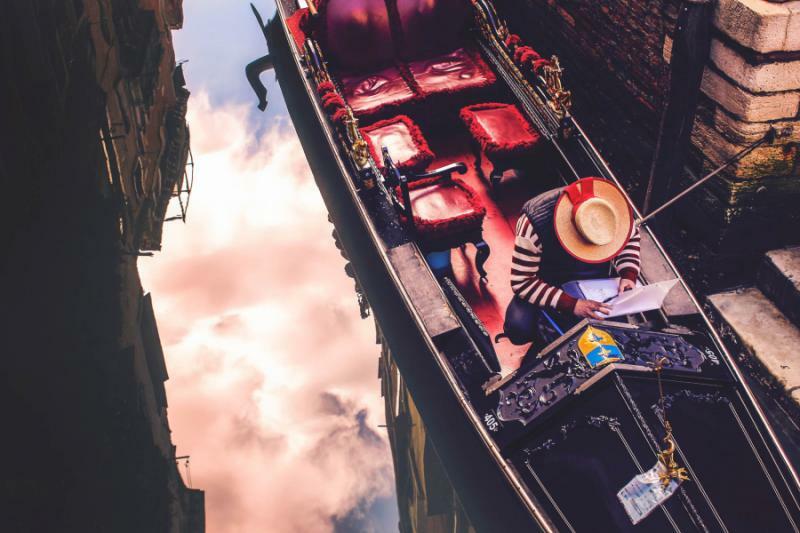 Take in the stunning views of the ornate palaces with the canal at their front doorstep and imagine what life would be like if your daily commute was by gondola. This morning, you are free to explore Venice at your leisure. You could visit the Ca Rezzonico Museum, an ornate 18th-century palace that showcases the artwork of great masters like Tiepolo and Veronese. Also consider a walking tour of the Jewish Quarter, the neighborhood that gave the world the word “ghetto”. 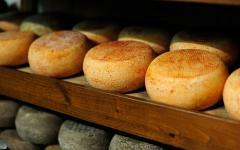 A flourishing Jewish community since the 1300s, today it’s a quiet neighborhood with remnants of the original Jewish culture—there are two kosher restaurants, a rabbinical school, and five synagogues. Nearby at the Rialto Bridge, you can see the commercial district mentioned in Shakespeare’s “Merchant of Venice,” where Jewish moneylenders traded. This afternoon you have the option of taking a “Wines of Veneto” Tour. Explore charming wine bars (called enoteche) in the hidden corners of Venice. An Italian wine expert, who is a professional sommelier, will be your guide. You will begin the tasting with white wines and finish with fine red wines. 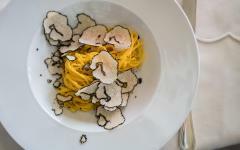 Each wine will be paired with traditional Venetian appetizers, called cicchetti. 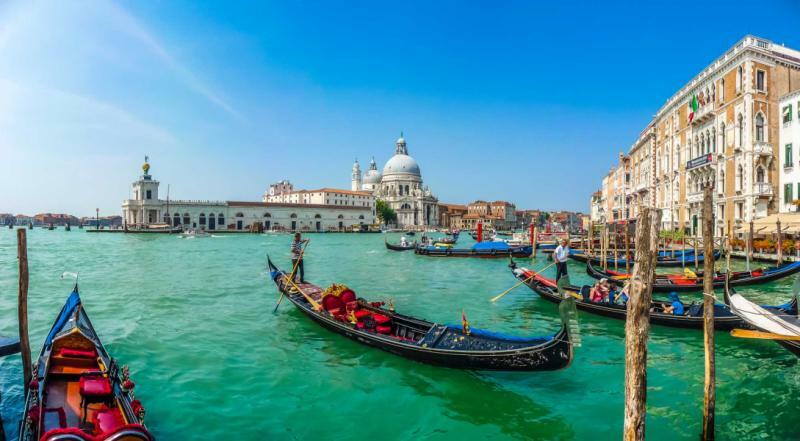 This morning you will be transferred from your hotel by private water taxi to the Venice train station. Enjoy a first-class train ride to Florence. After checking-in to your hotel and refreshing from the trip, you will visit the Accademia Gallery. Your guide will have arranged reservations in advance so that you can skip the lines. The highlight of this museum is Michelangelo's colossal masterpiece “David,” which epitomizes the Florentine Renaissance. The result of three years of work, Michelangelo’s “David” was a triumph of craftsmanship and the ultimate expression of humanism inspired by classical antiquity. So realistic are the qualities of the physical body and human soul in this a 17-foot tall statue that it difficult to believe it was truly carved from a block of stone. You will also find a copy of the “David” statue along with other important Renaissance sculpture at the Piazzi della Signoria, the lively central piazza of Florence. Tonight enjoy a hearty Tuscan in the heart of the historic center of Florence. This is where you’ll find plenty of authentic and friendly trattorias offering traditional Tuscan specialties, such as rigatoni served with a generous portion of beef, Don’t forget to pair your meal with a glass of Chianti or any other local Tuscan wine. This morning, you’ll take a trip to the Tuscan countryside for an interactive culinary adventure! 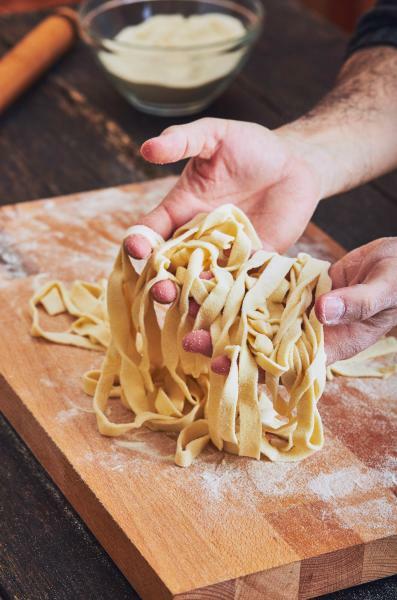 You are scheduled for a private cooking lesson with an Italian chef at his restaurant in the Chianti region, one of the most beautiful areas of Tuscany. Well-known by wine connoisseurs and visitors from across the world, Chianti produces some of the best red wines in Italy. 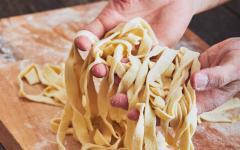 Your cooking class will include a menu of authentic Tuscan recipes. The step-by-step, hands-on instruction will allow you to learn how to prepare each recipe from scratch. After lunch, you have the option of returning to Florence or spending the afternoon wine tasting in Chianti. In the lively town of Greve, Chianti’s only major town, you can visit wine shops at the main square. 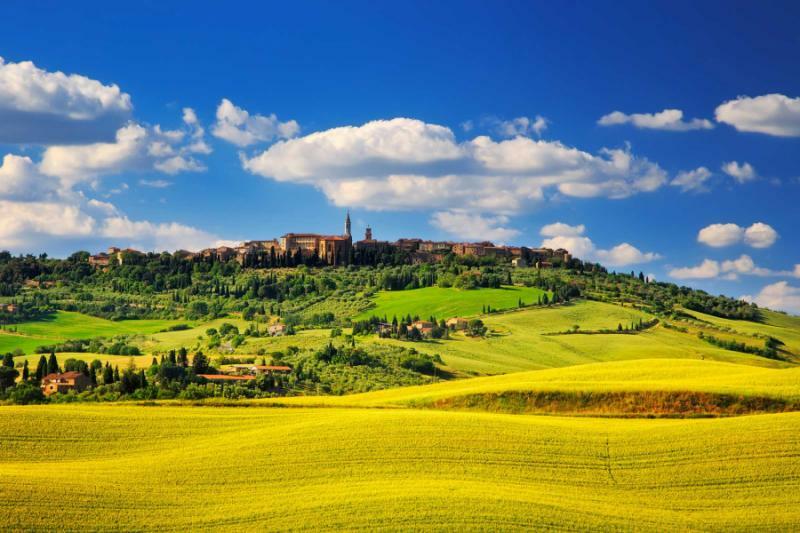 Another recommended stop, the village of Montepulciano is famous for its high-quality red wines. You could also visit the lovely fortified village of Montefioralle, perched on a hill above the Tuscan hills. 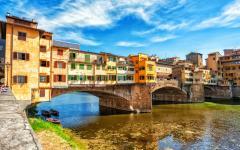 A perfectly preserved historic city, Florence has allowed art and culture to flourish since the 14th century. The city’s wealth from the cloth and trading industries allowed the Renaissance to begin here. A stroll through Florence takes you back in time. Begin with the Duomo, the city’s most important cathedral that is a marvel of architectural engineering. The architect Filippo Brunelleschi spent ten years studying the ruins of Roman buildings before he solved the problem of how to engineer the cathedral’s larger-than-life size dome. After this awe-inspiring visit, it’s time for an espresso or gelato at the hopping Piazza Signoria, also a great place for people watching. 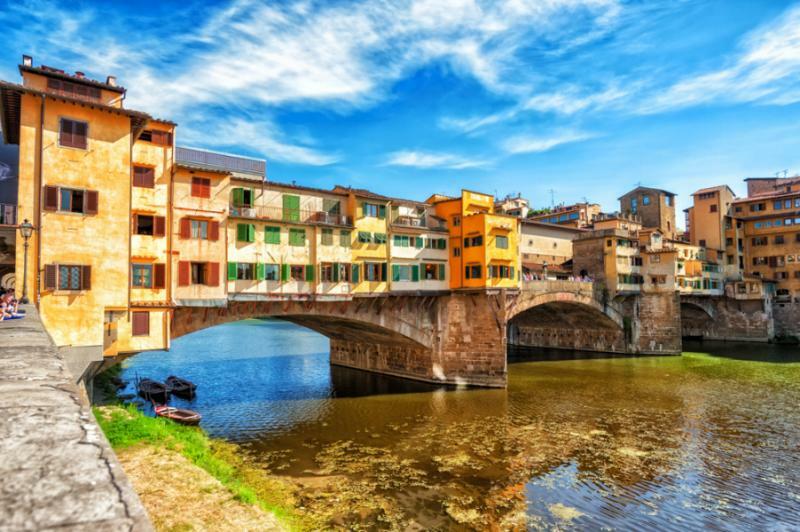 You can continue your walking tour along the picturesque Arno River until you reach the Ponte Vecchio, which translates to “old bridge” in English. The bridge is filled with ancient gold and silver shops that have not changed their design in centuries. For dinner, be sure to try the most famous Tuscan specialty, hearty ribollita soup made from beans, vegetables and bread—best enjoyed with a carafe of Chianti wine. Take the morning train to Rome, and grab a taxi from the train station to your hotel. 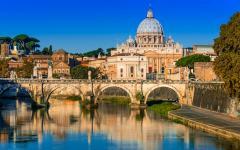 Arriving in Rome is one of the most exciting experiences for any tourist. The first sight of the Colosseum is an awe-inspiring moment that brings the ancient world to life. 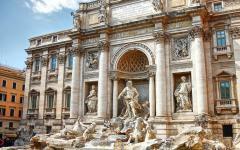 Known as the “Eternal City,” Rome is an outdoor museum filled with important monuments and ancient ruins. For dinner tonight, enjoy a casual meal a traditional wine bar that serves authentic local cuisine. There are plenty in the Piazza Navona, a place of elegant nightlife that appeals to all generations. 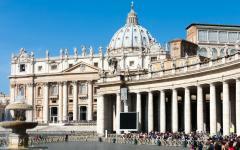 Today you’ll take a four-hour tour of the Vatican City. 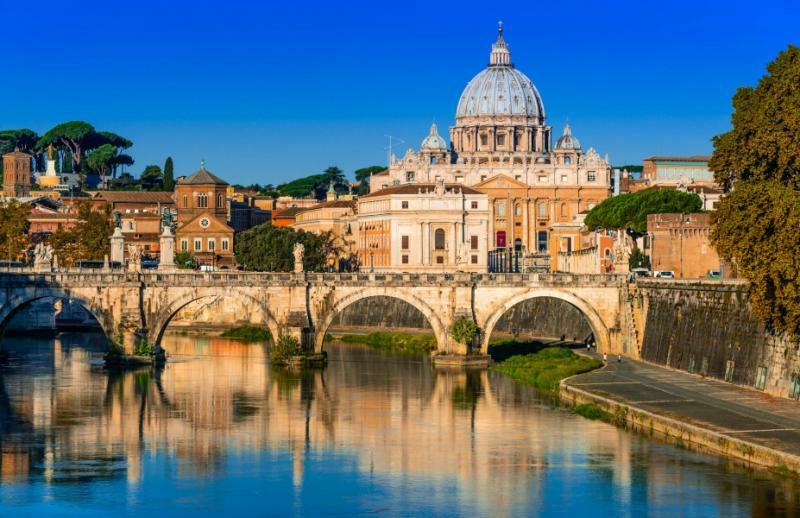 Your tour includes a critically acclaimed seminar that is designed to give an in-depth introduction to the Vatican art collection as well as the awe-inspiring architecture of St. Peter's Basilica. By the time you reach the Sistine Chapel, you’ll have the context to truly appreciate the cultural and artistic climate that allowed Michelangelo to create the remarkably detailed and beautiful “Last Judgment” ceiling painting. The tour concludes with a visit to the breathtakingly immense Saint Peter's Basilica, the vast church that is the symbolic heart of Catholicism. Upon leaving Saint Peter's Basilica, you will emerge onto the site where the Pope makes his appearances before the crowds: Saint Peter's Square, an immense piazza that was designed by Bernini. Today you take a small guided tour of ancient Rome. This four-hour walking tour takes you through Palatine Hill, the Forum and Colosseum—the archaeological core of the city. Steeped in history, the ancient monuments lay a foundation for the understanding of classical era Rome. A scholar of antiquities and archaeology, your guide will walk you through the Roman Forum and weave an in-depth narrative about the glory of ancient Rome. The tour concludes at the Colosseum with a discussion about the decadent Roman public spectacles that took place there—gladiatorial contests, mock sea battles and wild beast hunts. 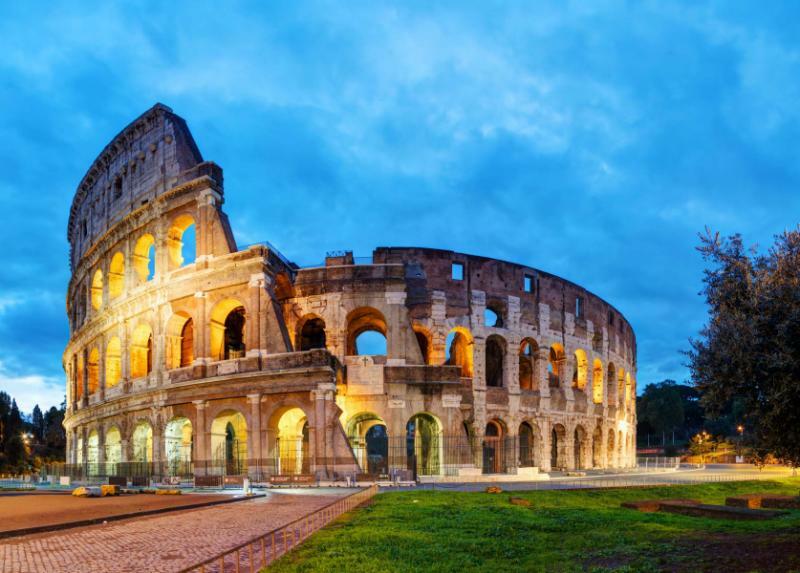 Also known as the Flavian Amphitheater, the Colosseum is a marvel of engineering and enduring construction. At the end of your walk, you will have a deeper appreciation of ancient Rome, its emperors, its history, and its feats of engineering. In the morning, you’ll be transfered to airport for your departure flight. Arrivederci Italia! 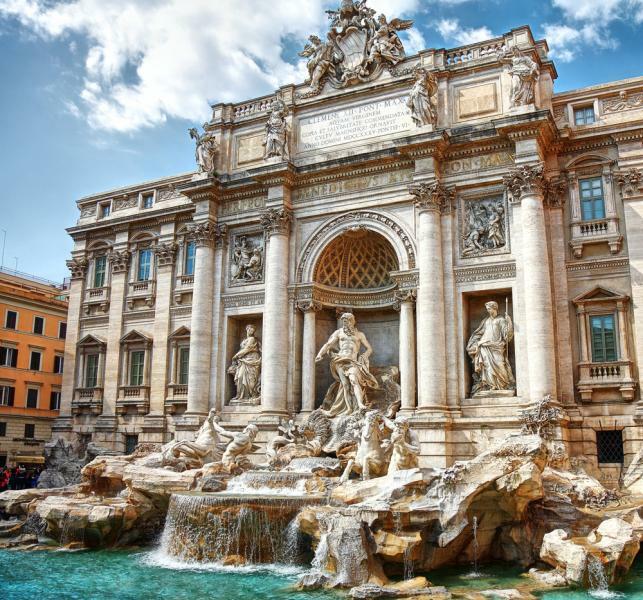 Hopefully you have tossed a coin into the Trevi Fountain that will ensure your return to Italy! "The trip Doug planned very closely matched our idea of the perfect vacation."